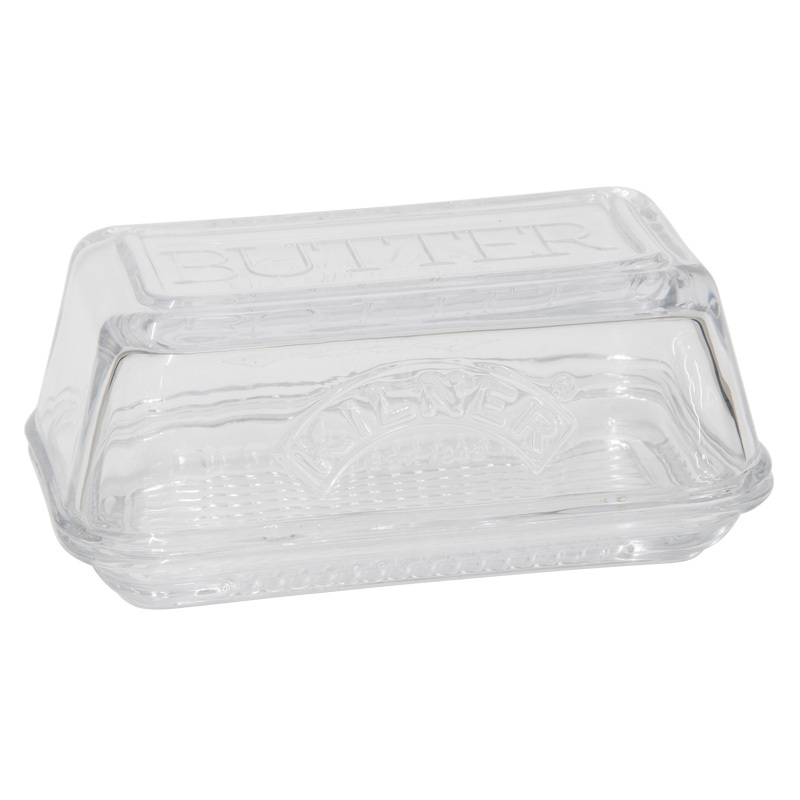 Glass butter dish with lid. The dish has the Kilner branding embossed on the both sides and the word BUTTER on the top of the lid. This stylish and practical glass butter dish designed by Kilner® is perfect for storing butter in the fridge or serving at the dining table, this dish complete with lid will keep your butter fresh. Wash in warm soapy water and dry before first use.